Day one of the 2015 North American International Auto Show (or NAIAS, or the Detroit Auto Show) is behind us, and we’ve racked up a significant number of steps on our FitBit (13,462 and counting as of this writing) and have seen some awesome cars. You can get details from the press releases and other sites on your own, but I thought I’d take time to add some in-person impressions of a few of the more significant vehicles at the show. 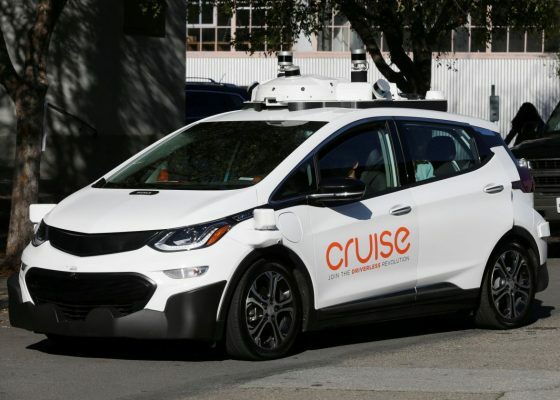 The second generation of GM’s controversial Volt ditches its unique shape for a more conventional one, while improving seating capacity, range, efficiency, and performance. I wasn’t clear from the first photos how they’d fit a fifth passenger (answer: they lowered the battery pack and force the person to straddle a console and two cupholders). I also wasn’t clear on whether the car was still a hatchback (answer: it is). 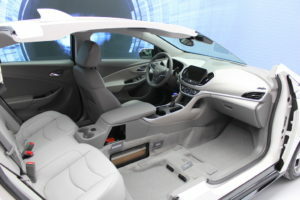 The interior lost some of its special (Apple-like) design, but demonstrates improved materials. I’m not sold on the new shape, but the car will be more appealing to spec sheet shoppers. The Volt hits dealers at the end of 2015. 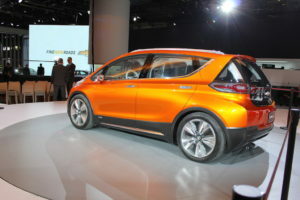 The Chevrolet Bolt concept demonstrates a “family-size” EV that promises a 200-mile range and “affordable” (meaning approximately $30,000 price after tax incentives – or $37,500 before them). It’s GM’s shot across Tesla’s bow, since Tesla is promising its similarly-capable (and similarly-priced) Model 3 within the next 2-3 year timeframe as well. The Bolt (stupid name, by the way – it’s not as clever as they probably think it is) looks to me like a cross between a BMW i3 and a Ford C-Max. It’s sort of a quasi-MPV in a tall-wagon way. It’s very clearly not production-ready yet; the interior looks like a spartan, fanciful concept-car interior. Frankly, I’m not sure that buyers will flock to this car. If the Tesla Model S’s sales (and buzz among buyers) is any indication, buyers and intenders are looking for attractive, conventionally-styled vehicle. The Bolt is not conventionally styled, but that could be because it’s only a concept. Tesla is also dropping huge investments in infrastructure so that its owners can do longer road trips; no word from GM on this front, and I’m sure Tesla isn’t going to let Bolt owners use its Supercharger network. Calling the current Nissan Titan old is like calling Hong Kong expensive. The current Titan, introduced in 2003, has changed very little during its time on the market. Offered only with a 5.6 liter V8 gasoline engine and no regular cab, the Titan’s cheap plastic interior, lack of a heavy duty model, and limited configurations, plus a stale product, left the Titan as an afterthought in the full-size pickup market. 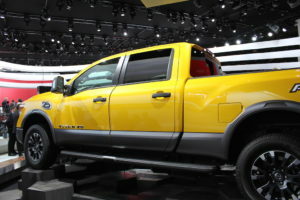 Before the Great Recession, Nissan was going to rebadge the Ram as the next Titan. Chrysler’s bankruptcy changed plans, and Nissan was forced to develop its new Titan solo. The result of that is the truck that you see here. Nissan CEO Carlos Ghosn thinks that there’s a sweet spot in the pickup market between light duty and heavy duty trucks, because 75,000 light duty buyers move up to heavy duties, and 75,000 heavy duty buyers move down to light duties. To him, that’s 150,000 potential customers for a Titan that falls between the two classes in terms of capability. To me, that’s a pipe dream, because 1) the Titan’s 2,000-lb. payload capacity is two-thirds of the F-150’s 2.900 lbs. (SuperCrew 4×2 156.8″ WB with the 3.5L EcoBoost V6), and 2) the Titan’s 12,000-lb. towing capacity is only 200 lbs. better than the F-150’s 11,800 lbs. (same truck configuration). The new Cummins 5.0L V8 diesel sounds like a nice engine. It’s a ‘tweener’ between the 3.0L Ram EcoDiesel and the 6.7L PowerStroke V8 diesel. 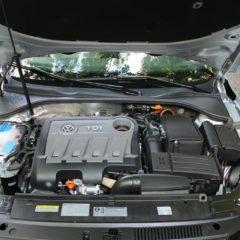 That may mean that it does not meet the EcoDiesel’s efficiency numbers, nor the power of the big diesels. It will still do better than its gasoline competition, but the Titan is coming out during a time that diesel fuel is nearly $1.00 per gallon more expensive than gasoline, almost totally eating away the efficiency benefit that diesel enjoys. The interior is functional, but does not appear to be up to par vs. very strong domestic competition. It doesn’t have the technology of GM or the luxury of Ram. It does appear to be more comfortable inside than the Tundra’s. With no news in the compact/midsize pickup segment for several years other the withdrawal of the former Chevrolet Colorado/GMC Canyon and the Ford Ranger, it seemed that the Tacoma and Frontier would own the segment. Then, GM introduced some very capable replacements for the Colorado and Canyon. Nissan’s product planners were busy with the new Titan, so they weren’t updating the Frontier. 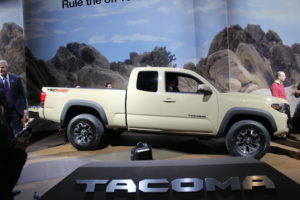 So, in time to steal a bit of the Colorado’s thunder, Toyota has trotted out an all-new Tacoma. The Tacoma currently owns the segment’s sales lead, and Toyota wasn’t going to go down without a fight. The new truck looks nearly identical to the old truck (though they say it’s all-new). Interior materials are equivalent to the GM trucks’, but the exterior is far less handsome to these eyes. Toyota is upgrading the engine to a 3.5L V6 with direct- and port-injection, or a standard 2.7L four cylinder. 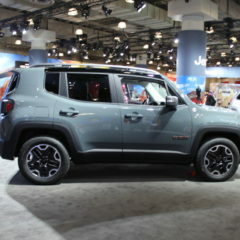 GM, meanwhile, offers a 2.5L four, 3.6L V6, and soon, a 2.7L four cylinder Duramax diesel. Ford’s last-generation Raptor was a cult favorite among the off-road crowd (as well as those who wanted to look like they were part of that crowd). It’s little surprise that Ford is rolling out a new generation Raptor based on that all-new 2015 F-150. The new truck is more capable, with BFGoodrich KO2 off-road tires, larger-capacity FOX Racing Shox, a 3.5L high-output EcoBoost V6, and a 10-speed transmission. 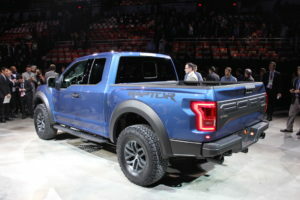 Little about the Raptor was a surprise (even the tires, which in my opinion are the best available in that market, were not a surprise), but the 10-speed transmission is definitely a segment (or, heck, industry-first). The Raptor goes on sale in fall 2016. Whatever you do, don’t call it a Z/28, even though it shares much of its arch-rival’s dossier. Five-hundred-plus horsepower, high-revving V8? Check. Super-sticky Michelin Pilot Sport Cup 2 high-performance tires? Check. Magneride dampers? Check (OK, the Z/28 doesn’t have MagneRide, but the ZL1 does). Comforts stripped from the interior to save weight? Check. 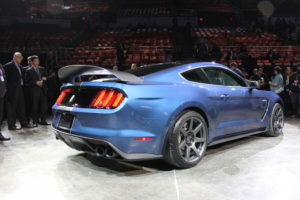 In fact, the GT350R takes what I love about the GT350 (flat-plane crank V8, lofty redline, buttoned-down performance) and boils it down further into the bare essentials for track success, with no air conditioning, rear seat, spare tire or inflator, trunk liner, exhaust resonator, or backup camera to distract the car or driver from its track-focused mission. No pricing information is available at this time, but it goes on sale later this year. Volkswagen is doing pretty well in its march to dominate the world auto industry by 2018. Where it’s not doing particularly well is in the U.S., where it has a puny market share and a very limited product lineup. There is almost zero chance the company will meet its 2018 sales goal of 800,000 Volkswagen-brand units by 2018 (although its luxury brand, Audi, is almost certain to exceed its 200,000-unit goal, with over 180,000 new Audis finding owners in 2014). One gaping hole in VW’s U.S. lineup is a midsize SUV – you know, like the Highlander/Explorer/Pathfinder/Traverse/Santa Fe/Sorento/Pilot. The Touareg doesn’t count; it is a luxury vehicle too expensive for the mainstream. 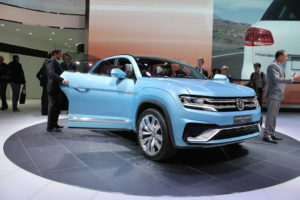 VW has previously shown the CrossBlue concept in Detroit, now today, we have the Cross Coupé GTE as a further refinement of the theme, and one that appears to be nearly production-ready. The Cross Coupé GTE is intended to telegraph a new design language for Volkswagen in the U.S. It’s powered by a 3.6L V6 with plug-in hybrid capability. The concept can travel up to 20 miles in emission-free “E-Mode” and seats five. Late in 2016, VW will produce a seven-seat SUV at its Chattanooga, TN plant that currently produces the Passat midsize sedan. I found the Cross Coupé GTE to be an attractive vehicle; perhaps the most striking feature was how it is more squared-off than other current Volkswagens. Creases and character lines are extremely sharp, to the point that I was afraid if they made production, vigorous waxing or buffing might rub through the paint. Volkswagen’s success or failure in this segment is certainly an unknown. The Passat started out hot, but has cooled significantly since its debut just a few years ago. 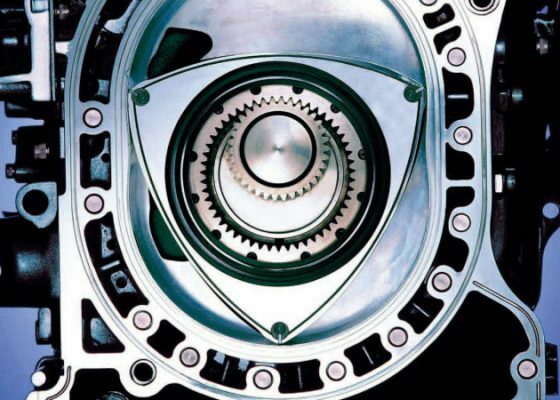 A lot will depend on the three Ps: packaging, pricing, and powertrain (both efficiency and performance). There were certainly other interesting debuts in Detroit – not the least of which were production versions of the Ford GT and Acura NSX – and we will cover those soon. Plus, there will be even more cars tomorrow. Stay tuned!